It's been a busy few days in the Harry Potter world. 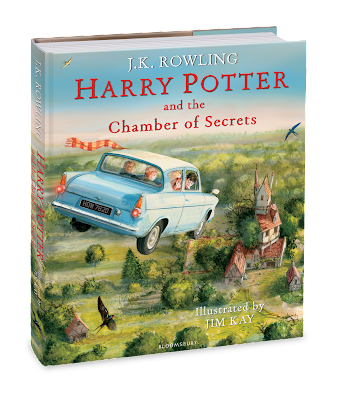 First was the news that, within the first four months of being available on Audible, Harry Potter has sold one million copies. This is going across Audible.co.uk, Audible.com, Audible.de & Audible.com.au. 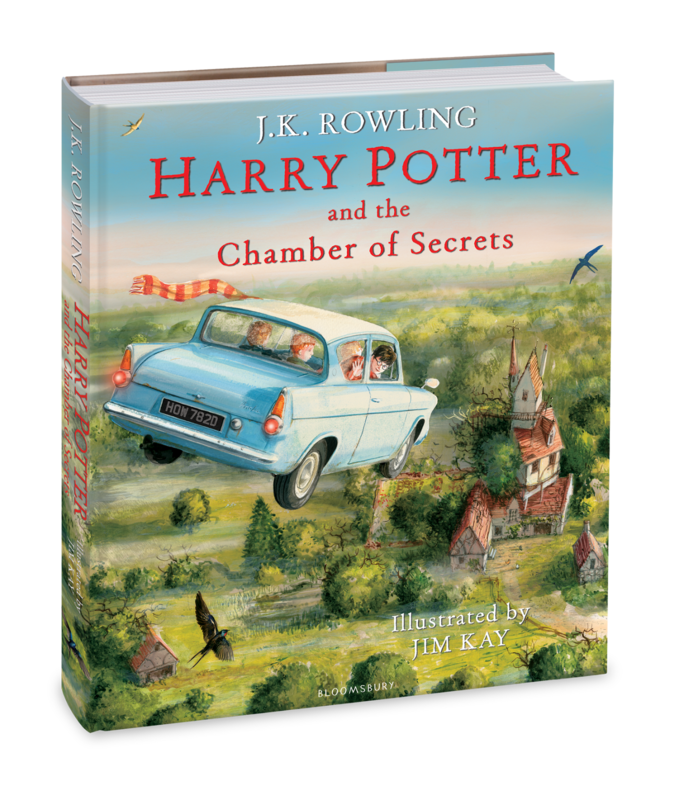 But this came within hours of the cover of Harry Potter and the Chamber of Secrets - illustrated Edition being unveiled by Bloomsbury UK and Scholastic USA, and with exclusive images being shown on Pottermore.com. Now, I don't own Harry Potter and the Philosopher's Stone - Illustrated Edition (and I call myself a fan!!! ), but I just wanted to show you guys the cover and point out the audiobook news so... well... the fandom isn't dead yet! And with this only the start - we have Harry Potter and the Cursed Child and Fantastic Beasts and Where to Find Them both coming out later in the year... well... Busy time for us lot! Anyway, here is the cover! I'm still not sure why I am still not saying that reading/rereading this series is my year long challenge. It seems to be turning into something I want to read by the end of this year and, let's face it, am doing a pretty good job of staying on track with this series. And as you might know if you have read my #re3 of The Miserable Mill, this is the first book in this year long unofficial challenge that I haven't read, so was going into this quite blind. I didn't even google what the word "Austere" meant (See? 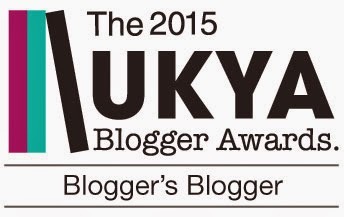 We book bloggers aren't as smart as we fake ourselves to be!) till I was quite close to the end of the book. This is a weird one for me. 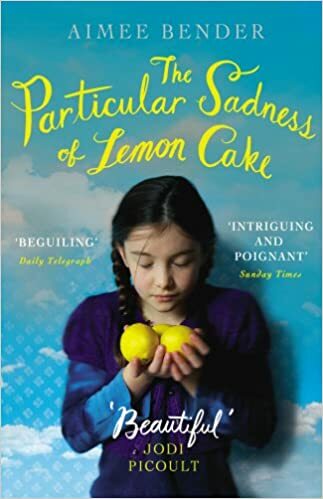 I have faults with it - it's repeating the same pattern as the previous books in the series (and while that's ok, I wish there was more) and the story feels a bit flat with some characters. However, this seems to be the book that really starts the series off. We met characters - Isobel and Duncan Quagmire - who seem to be in the same situation as Violet, Klaus and Sunny - and I liked reading them. Plus, it's these two characters who give an important piece of information that will now be the driving force to the series, I hope. This was a fast read (I read this over two days - Good Friday and Easter Saturday. 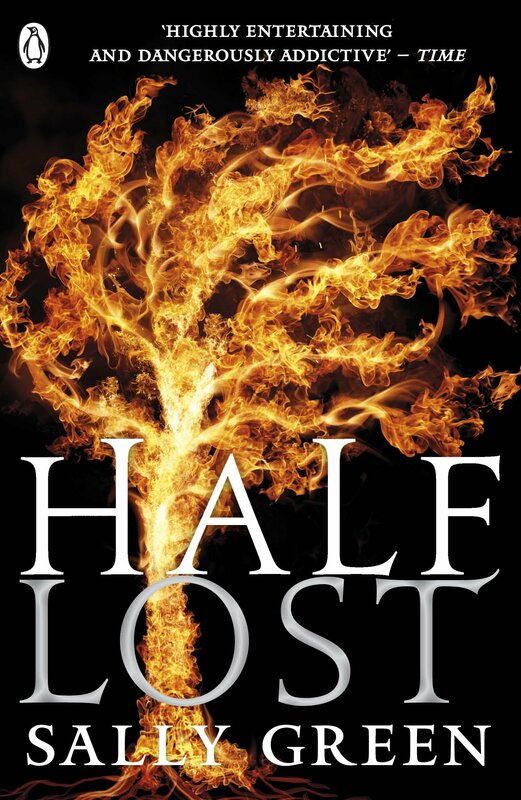 Well, I had to read something to get over the shock/despair my heart was feeling after reading Half Lost!) and I think because I am much older than this series's target audience, if that's why I am reacting the way I am to it. I sped through and then find things that bother me when, I know, that if I discovered this when I was eight or ten years old, I would have devoured it! But am going to keep going with this series. Why not? I'm in this far! Ok, onto book six, The Ersatz Elevator! After the devastating events at the end of Half Wild, Nathan is running again. The Alliance of Free Witches has all but been destroyed, but they have a plan. They need Nathan to go talk to a witch called Ledger to get half of something that could help me take down Soul and his Council. But war is war. And not everyone will survive. I shouldn't have read this so soon after Frail Human Heart by Zoe Marriott. Reading two books which are the end of trilogies I love is too much for my poor heart. This series is definitely a marmite read - you are either going to love it or you are going to hate it. I love it and I am already itching to reread the whole trilogy again. And I am watching Sally's Twitter feed for any news on her next project. But this trilogy... wow. Just wow. I was going to post this on the 1st April, but I didn't want to post it and then tell you guys that it's not an April Fool's joke. The last two weeks of next month, I am going to take off. I won't be blogging from 15th April (ish) to the very end of the month. No, WAIT! Don't react like that! I have reasons!!! 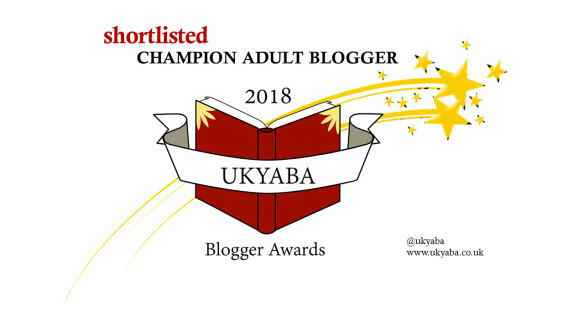 Ok, this could be seen as a tiny blog break - I do believe tiny breaks are good for the blog, you guys and myself and I will probably have another blog break before the year is through. But my main, true reason is that next month (May 2016), I am doing a themed month. Which means I will be trying to get ahead of myself and give you a good mix of stories, linked to the genre I am going to dive into throughout the course of May. I'm not going to tell you what genre as I want it to be a surprise, but if you follow my Twitter/Pinterest in the next few weeks, you might have an idea. But I want this themed month to be the best I can give to you guys so am going to give myself these two weeks to try and read/audiobook a lot of stories. Probably a bad idea but yes, am going to try! But don't worry. You have me for the next two weeks so you can't get away from me that easily! But forewarned is forearmed. So yesterday was a little manic. I say that with love, but it was manic. I woke up early (other half decided to do overtime and Bagheera demanded hugs). Then I got scared because my Twitter @ reply box was filled. Did something awful happen?! WAS I HACKED IN THE NIGHT?! 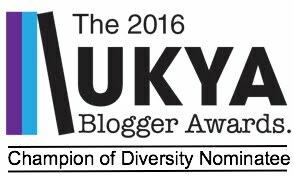 No, Friday's #UKYAChat was talking book bloggers and bloggers and people were being kind about this blog. THIS BLOG GOT LOVE!!! Yes, I have moments when I don't think my blog is good/smart/funny/savvy enough but reading your tweets were lovely so thank you. Sidetracked there. So, because of the joys of trains, drove to London and got tube. Only to have maintenance work on the tube. DAMN IT, LONDON! LET ME LOVE YOU!!!! But, somehow, from pure stubbornness and me head banging to my iPod, I got to Scholastic! And I met fellow bloggers and vloggers who I haven't seen since last year and discovered some new bloggers/vloggers that I am now following on Twitter! The first needs no introductions. The Sleeping Prince by Melinda Salisbury is the sequel/companion novel to The Sin Eater's Daughter, the fastest selling debut novel of last year (go Mel!). I haven't read this series (I apologised to Mel about this so she doesn't break bones!) and I have no idea why as this series sounds right up my street! In The Sleeping Prince, Errin knows the tale of the Sleeping Prince. Every hundred years, he awakes and wrecks horror and bloodshed. But what if he was real... what will Errin do then? The Shadow Queen by CJ Redwine is a dark reimagining of Snow White. Inspired by the movie Snow White and the Huntsman (where CJ was hugely disappointed over Snow's character - SOMEONE ELSE WHO UNDERSTANDS MY REACTIONS TO THIS MOVIE! ), CJ decided to rewrite the tale where two strong, complex and total badass characters go head-to-head in epic fashion. No dwarves in this retelling, oh no! We have seven dragons! SEVEN DRAGONS!!! I LOVE DRAGONS!!! WHY DID NO ONE TELL ME THAT?! If I didn't mention The Raven King by Maggie Stiefvater, I think you guys would attack me! The fourth and final book in the Raven Boys series, this promises to be an epic conclusion. As I haven't read Raven Boys (or Sinner. And Scorpia Races), I need to get my rear in gear and play catch up! After the book talk, some of the authors chatted about their books. Mark Huckerby and Nick Ostler made us laugh, as did Beth Garrod (another debut author who's novel, Super Awkward, which promises to make us laugh and cringe in equal measures), while Sue Wallman made us all a bit teary-eyed (she made one of the Scholastic crew cry over what inspired her to write Lying About Last Summer). After this, we had a talk where authors, editors and designers chatted about writing, editing and designing book covers. Authors (this included all mentioned above & Eve Ainsworth, author of 7 Days and Crush) talked about writing, how they cope with the pressure of fans (we're a scary bunch!) and advice they would give to themselves in terms of writing and being published. And after this, we had a Hunger Games mastermind quiz. Which was hard. Very hard. And someone, my team was joint second! HOW DID THAT HAPPEN?! And that was it. With tote bags full of books (we book bloggers/vloggers are vultures! Never say "Here are some free books", publishers. We will take them all and leave that room gutted! ), back onto the tube that dislike me. But on the plus side, I saw my grandparents for a quick cup of tea and my grandparents are cool so it was worth it! My thanks goes to Scholastic. Thank you for hosting this lovely event and thank you for inviting me! And now, I have a tiny surprise for you. I am hosting a tiny #BloggersBookFeast contest. I managed (without anyone at Scholastic noticing) to grab a few extra copies of a few titles (one of which has been signed! GO AUTHOR/AUTHORS!) and one of you guys is going to win them. These are delicious books and I hope you love them. Oh, you want to know what they are? Nope. Let's keep that as a surprise for the winner, shall we? I've had this book, the third and final book of the Name of the Blade trilogy by Zoe Marriott since last summer. Yes, since last June-ish time. And I love this trilogy. If you have read my reviews of The Night Itself and Darkness Hidden, you know how much I love this trilogy. I adore it and compare it to Cassandra Clare's Shadowhunters series. So why, I hear you ask, did I not read it when I got the book (and got Zoe to sign it and begged her to tell me if there were any deaths so I can brace my soul - yes, I did. I also told her that I trust authors when I read books. I just don't trust the book. [I'm weird. I know this and I accept this]) back in June 2015? Because, I didn't want to. I love this series and I didn't want it to end. I didn't want to say goodbye to these characters or this world. Plus, what happens if something awful happens to a character I love? Will it be like when I meet Cassandra Clare when City of Glass has just come out and I said to her "If Alec and Magnus don't get together, I don't know if I can forgive you"? Enough of my panic, let's talk Frail Human Heart. After the devastating events in Darkness Hidden, Mio doesn't want to carry on. How can she is that means putting the people she loves at risk? But she must. With the final battle between gods coming to a head and London being their battlefield, Mio is the only one who can end it. But how far is she willing to go to end this war? What sacrifice is she willing to make? I am going to say this now: I do love this series. 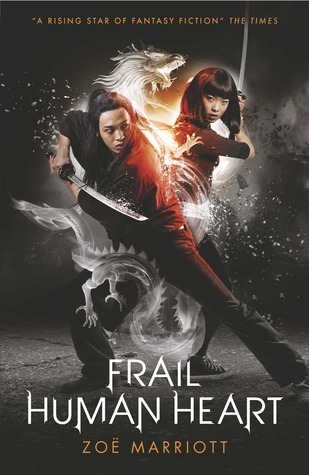 I think this is one of the coolest urban fantasy series I have read in recent years. And because I love this series, I had to numb myself to Frail Human Heart hence my reactions might not be as OTT as you all might be expecting. It's a strong finale. The world building and the events leading up to the final dramatic conclusion are wonderful. Zoe knows how to write action and keep the pacing strong, while writing small, private moments. There isn't a dull or boring moment in any books within this trilogy. You will keep turning those pages, needing to know what happens next. And because I loved the previous two books, I returned to this world really easily, as if returning to an old friend. Maybe because I took a long break away from this world, but there was one or two times I think that some people might not like how Zoe wrapped everything up and left things hanging. I fear some of you guys might find this a little too clean compared to other final books in series out there. But this is a strong satisfying end to a series I love. Fans of Cassandra Clare need to get this series in their lives and I will be reading the two Zoe Marriott's I have on my TBR shelves (The Swan Kingdom and Daughter of the Flames) before the release of Zoe's Beauty and the Beast retelling, Barefoot on the Wind and her rumoured Mulan retelling (which I am VERY excited to read!). As you guys probably know if you have been reading the blog for a while, I have actually read Alice's Adventures in Wonderland not once, but twice. The first was back in 2010 and was an abridged version of the book (I know, there are abridged versions of books!) and the second was in 2013 and that was full of grammar mistakes. Oh, so many grammar mistakes/errors! 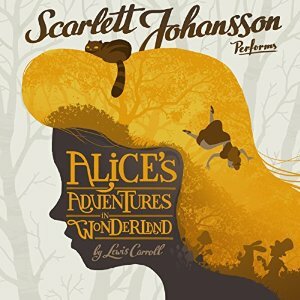 So when Leanne from Midas PR emailed me if I wanted to listen to Scarlett Johansson's reading of Alice's Adventures in Wonderland, I said I would once I caught up with my audiobooks. And now that I have, I have downloaded, listened and am going to talk about the story and Scarlett's reading of this tale. I think we all know the story of Alice in Wonderland. Alice falls down a rabbit hole chasing a White Rabbit. She falls into a world where she has tea with the March Hare and the Mad Hatter, playing croquet with the Queen of Hearts, meeting the Caterpillar and talking to (my fave character!) the Cheshire Cat. As you guys are probably aware, i have very mixed feelings on this. If I had read this as a child, I would be obsessed with this story and the world (hence my love for Disney and any other version I can watch). But as an adult... well, it's really surreal. There's not much plot - but that's the point. This is a story of a young girl have a dream of a world that makes no sense. Dream logic and all. So, Scarlett Johansson's reading of this tale. I have two feelings on this. Once I found my footing with Scarlett's voice and got use to how she read, I found myself enjoying it. It flowed and Scarlett has a voice I could listen to. At the beginning of the year, I wrote some New Year's Resolutions for this blog. One of the resolutions was that I should try and take more risks and be braver. I know we are only 3 months in but I feel like am going on the right track. Wouldn't you agree? So, when Leanne from Midas PR emailed me about this, it instantly caught my attention. I can't put my finger on what, but I knew from the tiny press release that this would be something I should take a risk on. I mean, it's just over 2 hours long. What's the worse that could happen, right? Before I go any further, I want to stress something. This is not the novel. 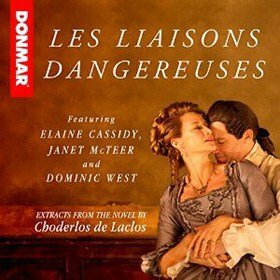 This is the cast of the sold-out theatre production in London (starring Dominic West, Janet McTeer and Adjoa Andoh to name a few of the actors) reading out letters taken from the Choderlos de Lacios's novel. Letters which are private and reveal private things about the characters. Because of this, the story flows and jumps and we gives an interesting insight to the characters, most of which we are vaguely aware of from either the 1988 movie, Dangerous Liaisons (starring Glenn Close) or 1999's Cruel Intentions (starring Sarah Michelle Geller). I am going to admit this, I enjoyed this a lot more than I expected. I went into this with very low expectations, and once I found my stride with this, I enjoyed myself. It was weirdly gripping to listen to these private thoughts and go "This isn't going to end well...". Plus, the actors who read seem to have a good amount of fun reading the extracts out. However, there are a few negatives to this. Because these were letters, it did feel jumpy as you had no idea how much time had past between letters. Was it a few days? A few weeks? Months? Also, there wasn't much gap between where one letter ended and another started. You had to hit the ground running and you had to keep up, which was hard for me as, for a while, names were thrown out and it took me ages to get the names and which voice went with each character. After chatting to Ben (you guys will know him as Benjaminoftomes on YouTube - and yes, he is COE of the micro-publishing company who is publishing this story) about this story and a few others, he asked if I would be involved in this blog tour, and I become excited. And, after chatting to Esther via email about a few ideas for this stop, Esther revealed the five books that influenced her as a writer. So, to both Ben and Esther, thank you for your time and help on this! And now, onto those books! Have you read them? Called the “Adult Harry Potter” - this 800 page book written in an old-English style, with a ton of footnotes and a first chapter so dense that many a reader has given up on this gem before they even began, influenced my writing in a huge way. It’s a wonderful story - about two rival magicians in England seeking to bring magic back to the land, and it’s utterly absorbing. I wanted it to be 8000 pages! Quite possibly my favourite book. I never wanted to read this series because I didn’t want to see what happened to Cassandra Clare - I was one of those rabid readers in the early 2000s who logged onto FictionAlley.net every week to get my daily dose of The Draco Trilogy - Clare’s infamous Harry Potter fan fiction that was just too incredible for words. However, City of Bones did not disappoint, and in fact influenced a particular chapter in Gabriel and the Swallows! Can you tell which one? Wow. This book. A contemporary drama about a girl who tastes all the emotions a person has felt preparing dishes - she learns terrible truths about her family and this awful gift nearly lends to her ruin. A completely absorbing one-of-a-kind story I could not put down. And when I learned the truth about her brother - never in my life has a passage in a book affected me like that! 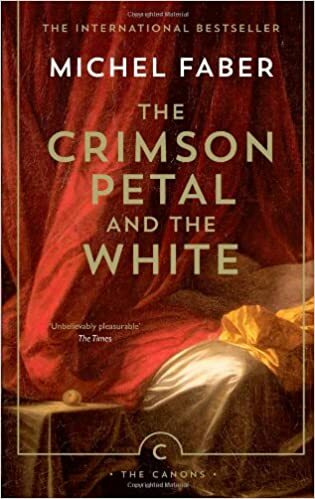 A detailed look at the life of a Whitechapel prostitute and her rise to riches in this Victorian novel. It’s so detailed it hurts, and Faber is this generation’s master story teller. A disturbing, illuminating read and a masterpiece for any writer to aspire toward. Imagine you are attending the birthday celebrations of a famous South American political leader when a guerrilla terrorist troupe takes over the venue and traps you and all the other esteemed foreign guests inside. 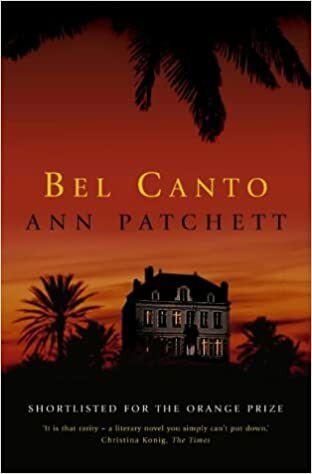 This tale, about the relationships that develop between these people (centred around a Japanese diplomat, a famous opera singer, a translator and a teen girl soldier) in the midst of duress is the best piece of writing out there. Recommend to anyone and everyone! 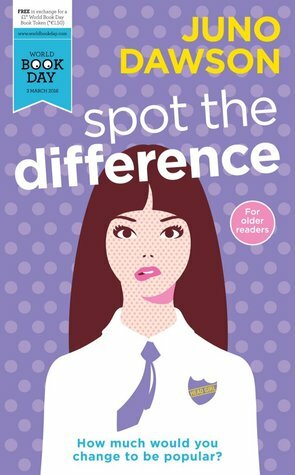 Today, am going to chat about another World Book Day story, Spot The Difference by Juno Dawson. Out of Rainbow Rowell's Kindred Spirits (review for this went up yesterday) and this, Spot the Difference is the gritty one out of the two. Juno just gets what it's like to be a teen and the struggles teenagers face every day at schools. I liked how Juno tackled the issues raised in this and try to explain (in one character's case) why they do it. I also like how one character pointed our flaws, not only in the people around her, but in the schooling system - something that is rarely highlighted and should be more often. This has a poignant message (both this and Kindred Spirits do, now I come to think about it) but if this story makes one reader feel less alone, then this has done its job. World Book Day tomorrow! 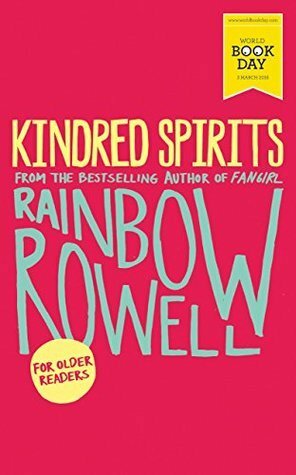 So, let's chat about one of this year's World Book Day titles: Kindred Spirits by Rainbow Rowell! This is very much a Rainbow Rowell story. It's sweet in tone, has engaging characters and leaves readers wanting me. It has the feel she created in Fangirl (if you liked Fangirl, this is totally up your street). And the relationship between the three characters happened quickly yet naturally - something I really enjoyed. But this is a fun read! A good gateway into Rainbow Rowell and a lovely ode to fandom. In a few days's time, it will be World Book Day here in the UK. So, to celebrate, the next few reads will be short reads that will be published for either this year's World Book Day or as part of the Quick Reads range for this year. 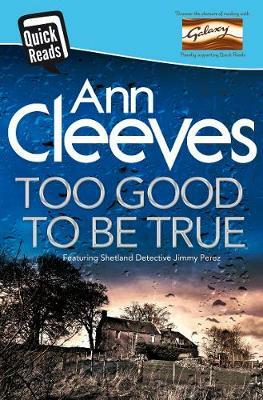 So, let's start with one story from the Quick Reads 2016 range: Ann Cleeves's To Good To Be True. When Detective Inspector Jimmy Perez visits the small Scottish town of Stonebridge after getting a call from his ex-wife, he didn't imagine that Sarah would ask him for his help. Sarah asks Perez to look into a recent suicide of Anna Blackwell. The gossip running wild round the small town is that Sarah's new GP husband, Tom, was having an affair with Anna and it's his fault that she killed herself. I have never read Ann Cleeves before and when I saw this on my kindle for 59p, I couldn't resist. And I am really pleased that I did as I enjoyed myself while reading this. 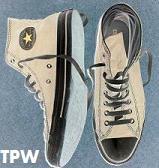 While this is a quick read, I enjoyed the story and I liked the main character, Jimmy Perez. There's not much I can say without spoiling it due to the story's length, but I like this. It's been a while since I read something with a crime element and I forgot how much I enjoy reading this genre.